Q doctor is an online video doctor service providing secure, instant, easy to use video GP consultations from your PC or smartphone. Would you like to modernise your practice and reduce your costs? We can help you do that by enabling your existing GPs to see patients over secure video directly from your practice using our technology, or we can provide you with high quality NHS trained GPs digitally and cheaply – or a combination of both. Can you see a Q doctor on the NHS? Yes you can! If your GP Practice is using either the Q doctor platform with their own GPs or using our GPs as a top up service then you can see a GP via video ASAP free of charge. Simply contact your GP surgery to find out if they’re currently using Q doctor. Want to provide a video doctor in your pharmacy? 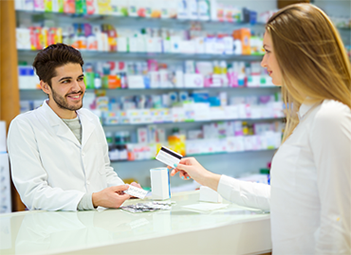 You can make your pharmacy the go to place for more of your customers medical needs - and retain business and help patients with Q doctor. Q doctor places a GP in your Pharmacy consulting room via a video link enabling anyone who needs to see a doctor to have a consultation and get treatment within minutes. Download our free app and claim your free consultation with a UK GP. The time is now to bring your access to healthcare into the modern world.